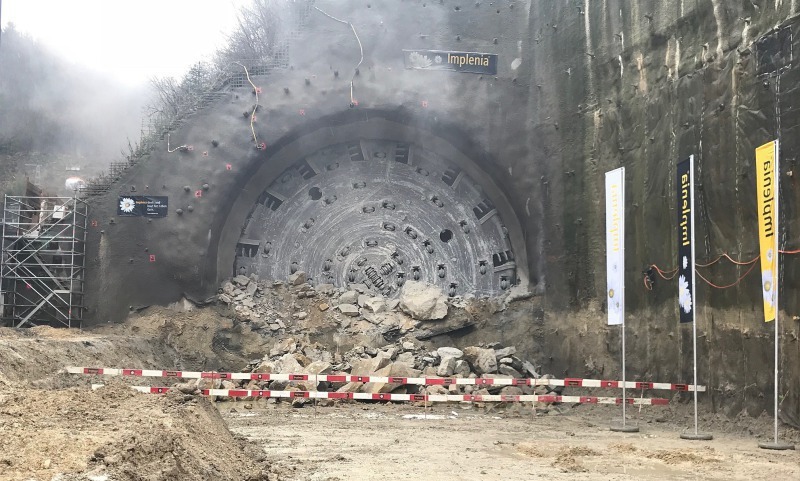 An important milestone for the 4 m corridor: On 29 November 2017, the tunnel boring machine broke through the last few metres of the Bözberg in Effingen. Due to the presence of unstable rock at the portal, there had been a danger of rockfall or slope sliding, Therefore Swiss Railways (SBB) took special safety precautions for the breakthrough at the portal as the existing main line runs very near the new tunnel portal in Effingen. This was protected with a temporary rolled-out protection wall. During the breakthrough, the slope was continuously monitored with measuring instruments. An emergency arrangement was also set up in order that the main line could be closed immediately if the scree started sliding. 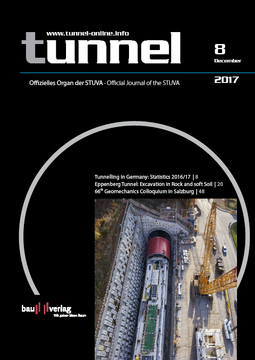 The tunnelling specialists prepared an additional pipe screen that also prevented a withdrawal of the tunnel boring machine in order to make the portal safe for the official breakthrough ceremony with invited guests on 13 December 2017. By 2020, SBB intends the implementation of a 4 m corridor on the entire Gotthard axis in order to be able to transport semitrailers with a height of 4 m by rail. 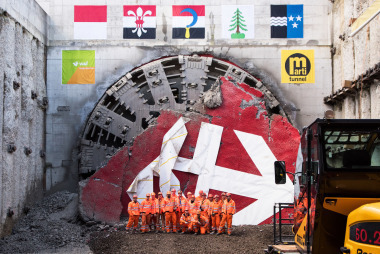 The new Bözberg Tunnels is the most important individual project with an investment volume of about 350 million Swiss francs. A new two track tunnel almost 2.7 km long will be completed by 2020 parallel to the existing two-track Bözberg Tunnel. 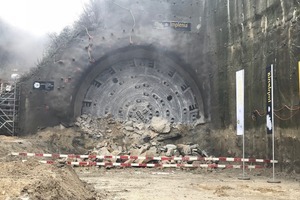 After the opening of the new tunnel, the old tunnel will be rebuilt for two years as a service and escape tunnel connected to the new tunnel with five cross passages.